When you have a hardy stand of trees on your property–you’re proud. You almost take the effect of their beauty on your life for granted. You would hate to see them suffer and lose their beauty in any way. Their are a few things to look for when you maintain your stand of trees. 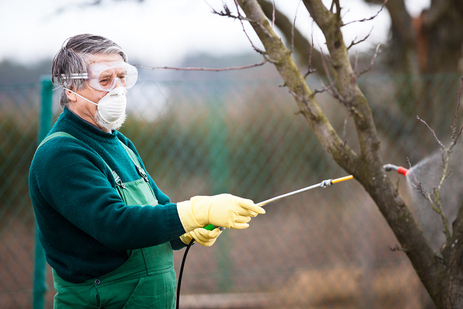 Here we will discuss disease and pest control for your yard and educate you on what to look for and when to call us. 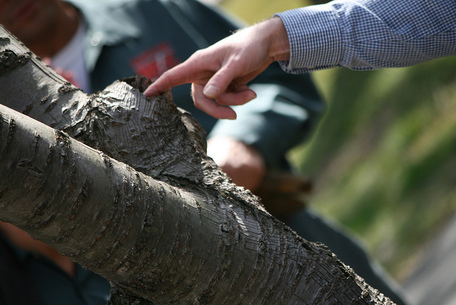 At Orange County Best Tree Services there are certified Arborists that will come and assess your situation, suggest what to do about it and then, with your approval–will take care of all your tree care needs. We at Orange County Best Tree Service are in the business of knowing far more than any typical lawn and landscape service. Trained Arborists are knowledgeable in the diseases that can hit any tree and especially the variety we have here in California! There are as many imported trees from far away lands as there are natives and we have to keep them all happy. We especially want to make sure you and you property are safe from hazardous conditions caused by trees that you may not notice to be diseased. So, what types of tree diseases are found to be the ones causing the harm? Generally speaking, you can count on a variety of fungus to be the culprit here. This is the way that this occurs and a trained Arborist or landscaper can tell when danger is on the horizon. Ah yes, there are so many things that can score a tree just deep enough to accumulate fungi. It can be done for a variety of man-made and natural occurrences. When workers are working to find gas lines or other subterranean activities. When wind is high enough to cause damage or a storm which may split a trunk or snap branches. Pruning that is too close and not in the right intersection, lawnmowers are notorious for this and so are excavation crews for building. We see this a lot in commercial properties. Any of these situations is prime for disease as well. Some can invade the tree through the roots with or without a wound to gain entry into. The job of the fungi is to release enzymes that will rot the wood–giving the fungi nutrients it need to grow and therefor disease enters as well. They are quite good with their careers, the result is always rot and weakening of the branches that become the hazard. The danger is, in the cases where this takes place on the inside of the tree–the damage may not be noticed until it’s too late and a tree or tree branch falls and injures someone or worse as well as damaging property. Diseases that follow fruit trees are a category in and of itself. Canker and yellowing as well as pests that carry lethal yellowing to the trees are just to name a few. Remember our friend the fruit fly? Those little triangular traps hung all over the trees? That was a challenge and a half. We also lost coconut palms to lethal yellowing for more than a decade in some regions. This is why it’s so important to have your trees looked at seasonally by an Arborist and not just your friendly neighborhood lawn company. There is a lot of education that goes into studying trees, what they respond to and what can harm them. The thing that most people notice on a tree is fungi but this is generally not until it has nearly overgrown the tree and root system. What you may want to look for is even subtle discoloration of the trunk bark. Like black or brown dots or splotchy looking things. If you notice shelf like shapes or mushroom like shapes then call us quick! We’ll see what we can salvage of the tree at attempt to save other trees around it.